Gleaming eyes with a perfectly applied eyeliner accentuates your style and grace. These charming windows to the soul reflect your inner aura and poise. 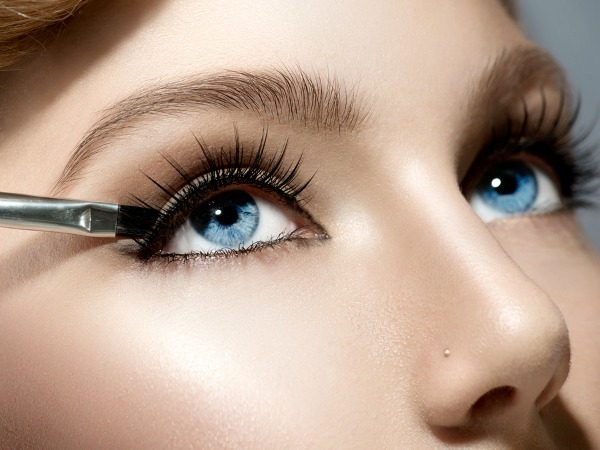 By using a few key qualitative products, you can instantly make your eyes look more attractive and alluring. Your face will look absolutely glowing and radiant with a perfect eye makeup. But unfortunately lot of women have a very oily complexion. You may be one of them and pondering on your problem and trying to figure out as to what best makeup you can use for oily skin. However, one of the basic issues to understand is the way you clean your face and keep it oil free. This will add tremendously in making your skin texture, healthy and youthful even years later. Cleaning the skin area around your eyes properly and gently before applying makeup is extremely important so that the eyes do not look smudged and untidy. The problem with oily skin is that the makeup rarely stays on very greasy skin especially during the day. There is a tendency that your make up will smudge, or fall off, or even lose its lustre, colour and shine. Hence it is imperative to select the best products for oily skin, so that you your makeup will look professional and vibrant. With this type of skin type, you need to pay a lot of attention while choosing high quality products that work well for your specific skin. Not only you need to be careful with the general makeup for the face but you will also have to be cautious while choosing the best eyeliner for your oily skin. Why do you have oily eyelids? There are countless problems which arise due to oily lids. Your eye shadow may slide all the time or even worse you may end up having black creases on your eye lid top. At times, no matter how much you try, it seems as if your eye makeup is getting distorted and getting spoilt. However, with latest high quality products being introduced in the market it doesn’t have to be this way. It is important to buy qualitative eye products such as eye liner or an eye shadow which are apt for your skin type. By using quality skincare and eye makeup products, you will be able to manage to conceal your flaws and look striking throughout the day. The basic rule for a great makeup is to avoid liquid products; in short, you should not use liquid eye shadow or, eye liners. It is best to use a light, pressed powder blush, solid eye shadow, gel eye liner and waterproof mascara. If you have applied foundation properly, the makeup should stay in its place and look fresh until the end of the day. No matter what type of skin you have, it is essential not to rub your eyes. This habit of rubbing your eyes really has a detrimental effect on your eye make- up. So first and foremost it is best to knock off this irritating habit. It is crucial to apply makeup to a fresh and clean face. But be careful not to overlook your eyelids. Even if you are makeup free for quite some time, somehow that devious oil has a way to spread onto your face, which makes it extremely difficult for any product to adhere. So, before you put the eyeliner, run over your eye with a makeup remover pad or a blotting paper. Boscia Japanese Green Tea Blotting Linens is available at cost effective rates .This will help to remove any residue on the eyelids. Thus you will be able to apply the eyeliner perfectly on the oil free lids. It is important to create a nice base in order to apply makeup. Initially it is best to apply few drops of foundation gently on the lids. Numerous products are available these days. However there is a primer specifically formulated namely E.L.F Essential Eyelid Primer which can help your eye makeup last for a longer period of time. Another famous product is Wet n Wild Fergie Take on the Day which is being extensively used by lot of women. Dabbing lightly a minuscule amount of the products on the eyelid with the tip of your ring finger really helps. This will keep the oily eyelids at bay. You can also opt for Urban Decay Eye shadow primer potion. These effective products will also give an advantage of making your shadows look realistic and alluring. Besides this another waterproof wear which will help to battle this oily problem is Lancome Aquatique Waterproof Eye Colour Base. 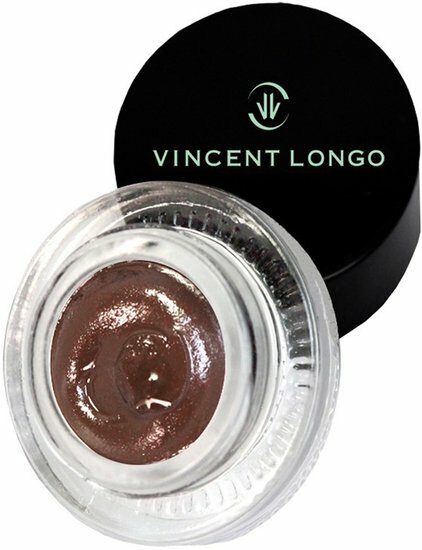 Its unique formula can do wonders in enhancing the beauty of your oily eyelids. Once it is applied and blended on the eyelid, the skin tone of the lid will be even and now your eyes will be ready for a lengthy duration of glitz and glam. You simply need to dust a thin layer of any translucent powder over the eyelid with a shadow brush so as to set the basic primer. As soon as you accomplish this process, you can get down to dressing up your eyes. The only way to beautify your oily eyelid is to refrain from using products that tend to cake or worse make your lids look even oilier. You need to apply a thin layer of eye-shadow. It is important not to apply it heavily all in one stroke. You need to select the most ideal eye-shadow formula which promises at least twelve hours of crease-free wear. One of the most preferred products is Maybelline Colour Tattoo Cream gel Eye shadow which lasts longer. The last but the most important part is the perfect application of the eyeliner. You can use gel eyeliner so as to enhance the alluring appeal of your eyes. Latest Gel eyeliners help to create a dramatic effect. They are smooth and easily set in place once it dries. It is important to avoid creamy pencils and harsh lined local liquid formulas. 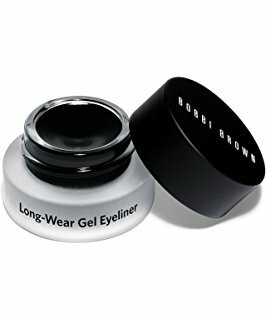 In fact, a fine quality gel eyeliner product such as Bobby Brown Long Wear Gel Eyeliner will help you to achieve a look and that too within your beauty budget. Earlier eyeliners used to smudge and it was very cumbersome for women with oily lids to use these products. Application of eyeliner was relatively a long drawn process and the sheen would fade in just a matter of few hours. Today, qualitative products are launched by reputed brands in the market. They present the best formulas so that you can possibly envision ranging from exotic kajal eyeliners, to liquid eyeliners to retractable eyeliners to gel eyeliners in a rainbow of colours. Now you can craft that perfect looks even if you have an oily skin. However, the most important feature is to know as to how to handle your sebum producing top lids. Following the right procedures you can flaunt your rock liners and beautiful coloured shadows with style and grace. This gel eyeliner does not smudge or spread. It will not fade or lose its lustre for many hours. It still appears fresh as if it is just applied even after 8 hours. It is waterproof and long lasting and is worth the price. · It still appears fresh at the end of the day as if it is just applied even after 8 hours. You can spruce the look of your eyes with this non fussy gel eyeliner and create a rich feel. This gel eye liner with its pigments allows you to create a sharp and accurate lining of your lids. This product is smudge proof and lasts all day. Once it is applied you are sure to have a lovely mesmerizing eye look. You can apply in little strokes with the brush that comes with the liner. Overall, it is superb cream eyeliner with rich pigments which gives a mesmerizing charcoal look to your eyes. Its dramatic effect simply cannot be missed. Not only this, it does not smudge and is good for the price. It is easy and comfortable to apply. It lasts for a longer period of time retaining its richness of the colour. · It glides on the lids easily and smoothly. · It is easy to wipe. It is good quality versatile eyeliner with a smooth texture. This whipped superb quality eyeliner is weightless and long wearing. It is a highly preferred choice of a lot of people. This is a great product which is available with a brush which makes the application very easy. As you apply this eyeliner, you will get a fine line or a thick effective line, depending on your choice for the day. 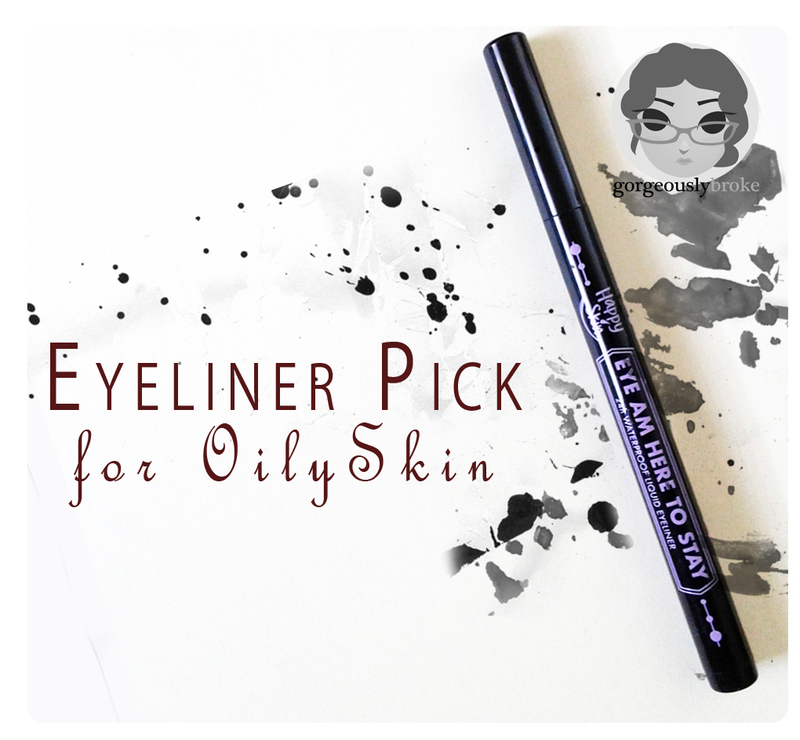 The eyeliner is rich in colour and has a smooth texture. The colour stays on the entire day. 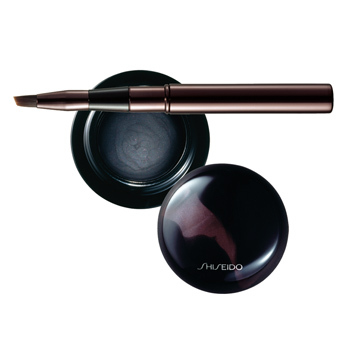 The accentuating creamy liner helps to impart a soft and sultry look to the eyes. 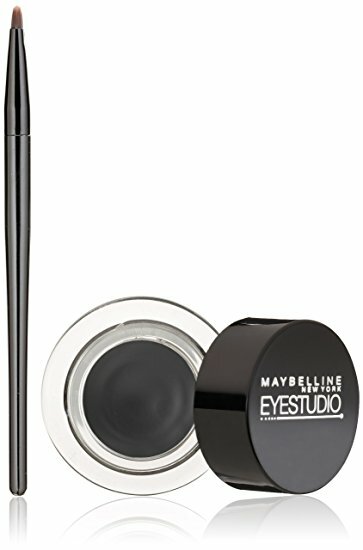 Overall, this easy to apply eyeliner is a superb product. The performance of this eyeliner is wonderful. You can create precise and smooth lines with its super formula. It is gentle on the eyes and does not irritate. 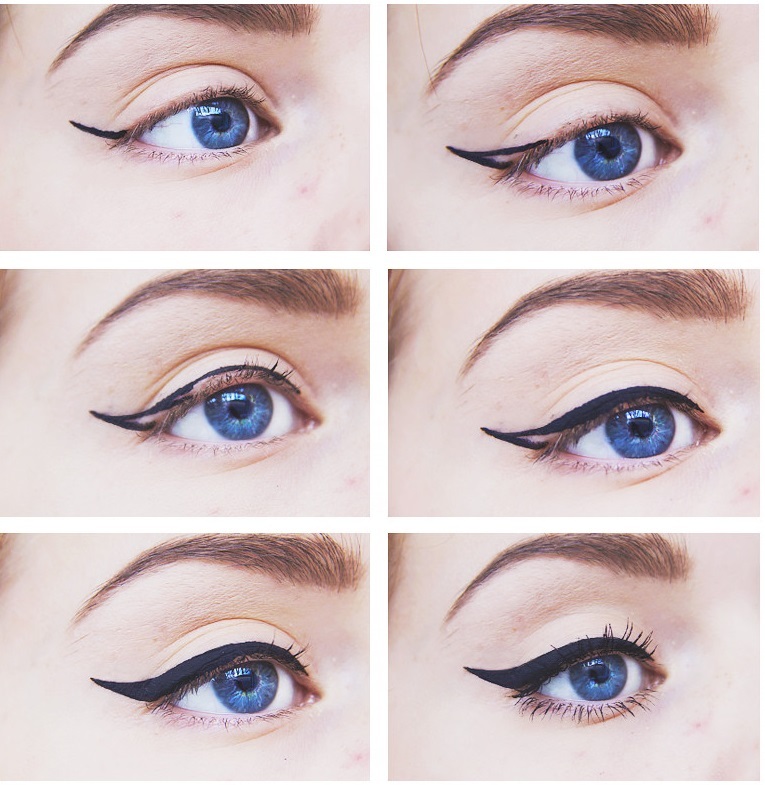 You can create dramatic eye effect with this amazing eyeliner. It imparts a precise and definitive line to the lids. It is important to use an eyeliner that matches your skin type and does not smudge on your oily eyelids. 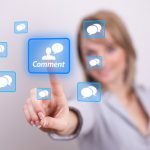 All the above mentioned products bag great reviews from users. They help in achieving those perfect eyes that give your makeup a flawless look. So follow our guide and buy a product that suits you the best. Oh please remove the e.l.f eyeliner from the list. It’s the worst eyeliner one can ever find. It’s almost like it’s mixed with water/oil that hasn’t been properly mixed.